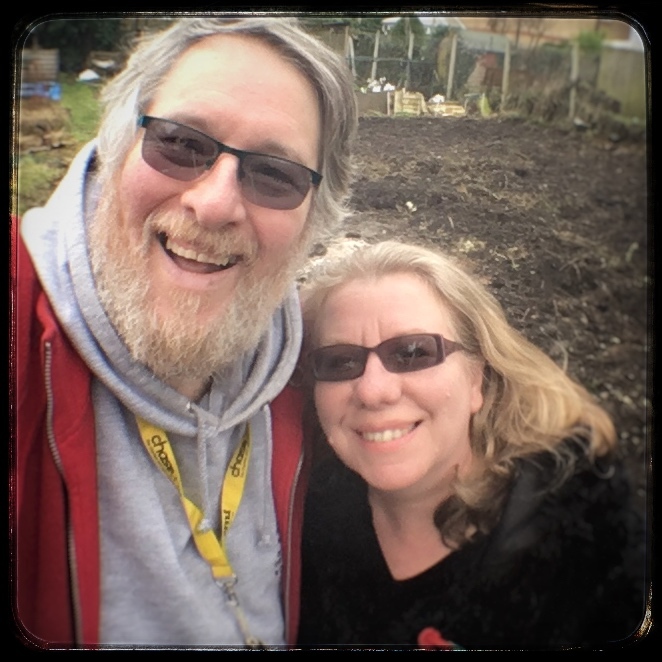 For various reasons, some previously described, we got very behind with our allotmenting and were playing catch up for most of the year. Our chilli plants had to put up with late sowing and late planting out. This is as much a trial of what can look after itself as it is an exercise in what grows well in our part of the world. First thing to say is that not all the seeds germinated. One seed tray failed to produce anything even though they were kept at an even temperature. Damping off disease? Well, we kept the greenhouse clean and used clean compost and fresh tap water but who knows. This meant that, for reasons not necessarily the fault of the seeds themselves, there were three varieties where we only managed to produce one plant each – Naga Jolokia, Numex Twilight, Peperone Picante Calabrese. And we only got two plants from another four varieties of seed. Nevertheless, some varieties grew more strongly, both as seedlings in the greenhouse and once they were planted out. We ended up with three plants which grew to 40cm, 23cm and 20cm. All produced an abundant crop, and a couple had started to turn from green to red. It would be nice to leave them to ripen but, with temperatures dropping, we can’t risk it and have harvested them green. Two plants, one of which was our largest chilli plant at 60cm, the other reached 35cm. Both produced large impressive looking peppers. The larger plant’s fruits were green, the other black – a variety called Black Knight F1. I was excited to try them. The green pepper was delicious, much as you’d expect from an ordinary green pepper, perhaps just a little sweeter. The black was, well, disappointing. If green peppers are less sweet than red, our black ones were less sweet than green. But it could be that they just weren’t ripe enough. But are Sweet & Tasty Mix a chilli? They rate zero on the mild to fiery pepper meter graphic on the front of the packet. With zero heat, I would call these a sweet pepper rather than a chilli. Only one plant but it reached a respectable 40cm and was covered in tiny peppers, easily producing the most fruits. This really is a most attractive plant. The fruits remind me of Christmas lights. As the peppers ripen they change from purple to yellow and then red. Most of the fruits are purple with only a couple starting to show some red, so not fully ripe. One plant growing to 35cm with a good crop of peppers. Again, we have had to harvest these green although one fruit has gone a brownish colour as it begins to turn red. One plant which achieved 47cm. It produced three green globes which really look as though they need longer. We will try them as they are and hope to grow this again next year. 12cm and 8cm plants, no fruits. This is the one I was most looking forward to growing. I don’t know why. The habanero chocolate is one of the hottest chillies so there is so there is no way I’d be able to eat it. And I know chocolate refers to the colour, not the flavour. I just liked the sound of it and thought it would be fun to grow. So I was disappointed that although we got two plants, they didn’t grow very well and didn’t fruit. One grew to 20cm and was robust enough to plant out on the allotment. The other didn’t look strong enough to plant out. It’s still on the windowsill at home and, although it looks healthy, it is growing very slowly and has only achieved 10cm. One plant which grew to 15cm, no fruit. One plant which is growing very slowly on our windowsill at home, next to the habanero chocolate. Again, it looks healthy enough, but is growing very slowly. Having only achieved 6cm, not made it onto the plot and not produced fruits, this is the poorest performing variety. But if we had succeeded in germinating more, we may have been more successful with it. For your habanero, Trinidad and Other hot types germination can be very erratic and take much longer than you expect. I has a Trinidad perfume that took three months to germinate once. They are also slower growing and need warmer temps than the more Mediterranean types like numex twilight so I’ve only had success with them against a sheltered sunny south wall or conservatory. I also start them early in January at the latest with some LED lights. It’s worth noting that if they haven’t gone on to the compost heap you can over winter many chillies on a light windowsill, having cut down the foliage significantly. It will give you earlier fruit but less yields. If you want to grow a really interesting but more bitter pepper try Poblano ancho and either Shishto or pardon. Thanks so much for your comment – really interesting. I will see if I can rescue a couple of plants for overwintering.